Dedicated to the preservation of Long Island's 'gold coast' estates and other things old. 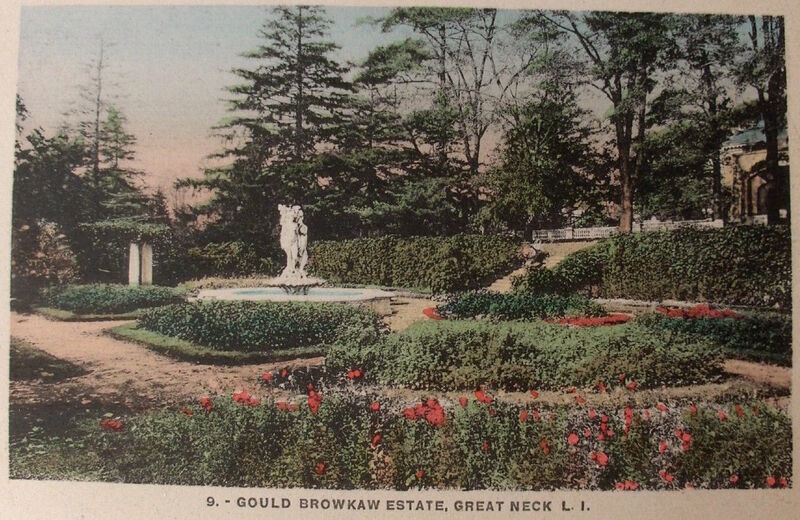 The gardens of 'Nirvana', the William Gould Brokaw estate designed by Little & O'Connor c. 1900 in Great Neck. Click HERE for all previous posts on 'Nirvana' which is no longer extant. Off topic, anyone see News 12 last night and they had two estates for sale; one was in Cold Spring Harbor and I think they called it "Baglatelle" for about 5 million, and another 19 acre estate in Sands Point for 21 million. The gardens aren't still around today are they? I tried looking into it and found nothing. The core of Old Long Island is based around the estates (over 500 at the moment). Click HERE for all of the demolished estates featured on Old Long Island (over 175 at the moment). Click HERE to visit my other blog Beyond the Gilded Age.